Glaucoma is the build-up of pressure within the eye, also known as intraocular pressure. This buildup of pressure can damage the ocular nerve that transmits signals from your eye to your brain. 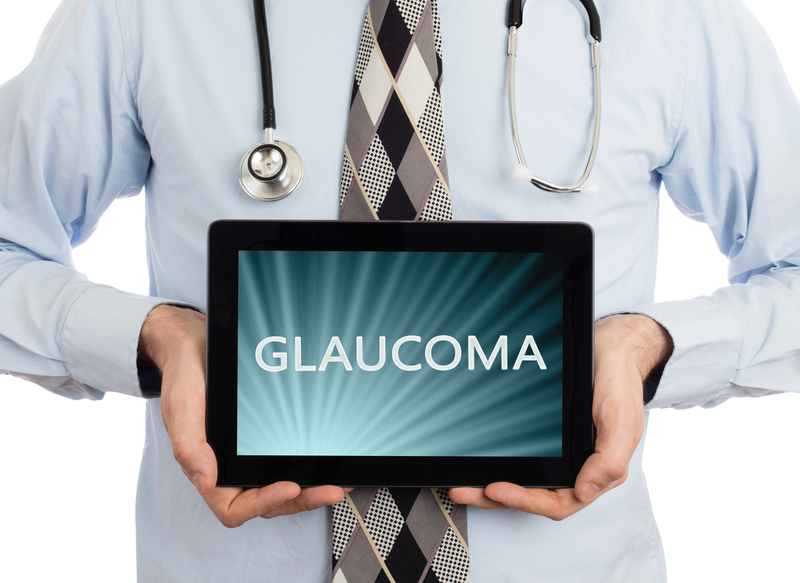 Over time, glaucoma can cause changes to your vision, and if left untreated, can even lead to blindness. In fact, glaucoma is a leading cause of irreversible blindness in the United States. Glaucoma is a painless condition and rarely shows any signs in the early stages of the disease. If you are missing out on your annual eye exams, you may be suffering from glaucoma and never know it. In many cases, glaucoma is an inherited condition. Individuals that have a family history of glaucoma have an increased risk of developing increased pressure in the eye. The high pressure in the eye is caused when the liquid in your eye does not move around in the eye like it should. Generally, the cause is a blockage in the channel that moves the fluid around the eye, resulting in higher than normal pressure. Other causes of glaucoma include injury to the eye, a blocked blood vessel, infections, high blood pressure, and some medications. Open-angle glaucoma. This is the most common type of glaucoma, and is also referred to as wide-angle glaucoma. This type of glaucoma is caused by the drain structures within your eyes not working correctly. They do not allow the fluid to move through the eye correctly. The structures, called the trabecular meshwork, look normal, but they are not working right. Angle-closure glaucoma. In the United States, this is the less common form of glaucoma. It is very common in Asia. With this form of glaucoma, the fluid in your eye doesn’t move around correctly because the angle between the iris of your eye and the cornea is too narrow. This tight angle creates a sudden buildup of pressure in the eye. Most patients that suffer from this type of glaucoma may also have cataracts or farsightedness. There are three ways to treat glaucoma. First, Dr. Mark Roy of Oakland Optometry in Rochester Hills can prescribe eye drops that manage the fluid levels in your eyes. These don’t work for everyone and if you are taking some types of medication, you may not be able to use eye drops. The second option is laser surgery. This procedure can make improvements in the flow of fluid from the eye. The third option is microsurgery to create a new drain in the eye. This option is not always successful and for some patients may need to be redone. Surgery has complications that include vision loss, bleeding or infection. Most patients benefit from a combination of medications and physical treatments. Glaucoma is a serious condition that should not be left uncared for. Especially for individuals that have a family history of glaucoma and are over the age of 40, an annual eye exam is crucial to protecting the health of your eyes, and catching glaucoma early. If you have a family history of glaucoma and need a comprehensive eye exam, Dr. Mark Roy of Oakland Optometry is ready to help. Our eye care experts at Oakland Optometry will provide you with the best care, and help you understand all of your vision care options. To make a vision appointment or to learn more about our office or services, please call us today at (248) 373-6500.